AN INDEPENDENT TD has called for Government action in relation to the number of emergency care orders taken out for children. Figures released to Mattie McGrath show that close to 1,500 children were taken into emergency care over the four-year period between 2012 to 2015. 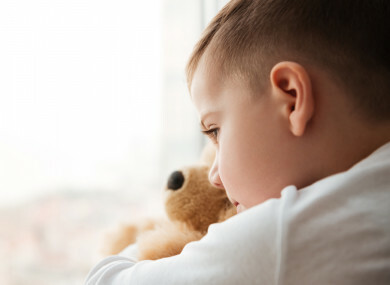 An emergency care order is made through the Courts service when there is a real and immediate risk to the child’s safety and welfare and they need to be removed from their family. Over 2015 – the latest year for which figures are available - 270 children were brought into emergency care. This compares to 366 in 2014; 414 in 2013; and 424 in 2012. This brings the total figure to 1,474. Commenting on the figures, McGrath questioned whether Tusla the Child and Family Agency had sufficient resources to deal with the number of children entering care. “I have been consistently calling on the Minister for Children to take a far more direct approach on these matters,” he said. In a response, a spokesperson for the Department of Children and Youth Affairs “only intervenes in family life in exceptional cases”. “However, if there is a serious child protection concern that a child is experiencing abuse (including significant neglect), and the child needs immediate protection, Tusla may apply to the courts to an emergency care order,” the spokesperson said. In total this year, there were 47,399 referrals made to Tusla’s child protection and welfare services by professionals and members of the public throughout 2016. Email “Nearly 1,500 children were taken into emergency care over four years”. Feedback on “Nearly 1,500 children were taken into emergency care over four years”.